Every year, the gadgets around us are evolving. These tech gadgets have become an essential part of our lives. From smartphones to televisions, we depend on these gadgets even for basic things like communicating, information, entertainment and so much more. 2018 was an amazing year for smartphones – we got to see different technologies come to life. Even laptops saw a considerable improvement in the last year. Most of the gadgets like televisions, cameras, fitness bands and smartwatches saw a great deal of improvement. 2019 has just started and there are a lot of expectations from this year already. We are going to see the launch of foldable & 5G smartphones, 8K TVs, roll-able TVs, better desktops and so much more. While most tech enthusiasts are gearing up for the CES 2019 which will begin on January 8, let’s take a look at the different consumer tech predictions for 2019. These consumer tech predictions for 2019 are based on the facts and rumours that have surfaced on the internet. 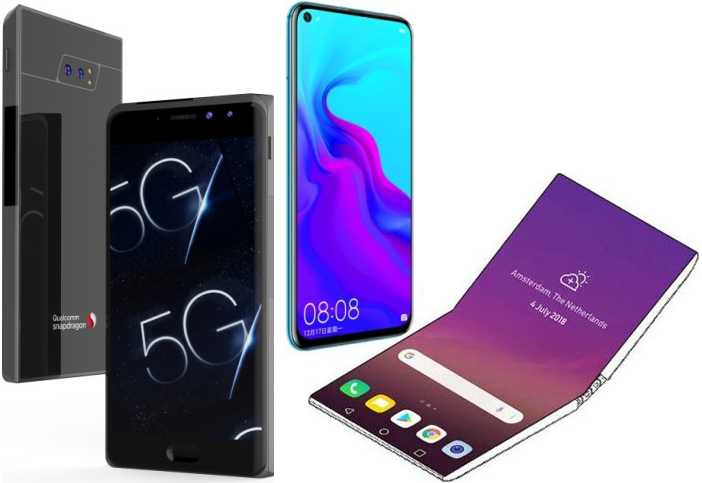 In 2018, it was hard to miss brands being pretty vocal about their efforts to become the first to design a 5G smartphone. 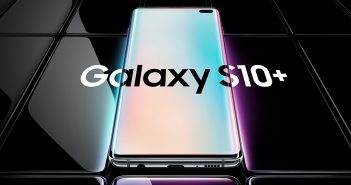 2019 is ShowTime for all these OEMs! 5G will bring in a huge next-gen revolution to the upcoming mobile phones. Additionally, these smartphones will offer super-fast speeds and low latency times. According to a popular Youtuber – Geeky Ranjit, already existing phones will not support 5G. 5G will require a hardware update instead of a software update. He also goes on to say that while 5G mobile phones might make their debut in the first half of 2019, we can only expect this network to make its way to India in late 2019 or early 2020. This year’s CES is just around the corner. 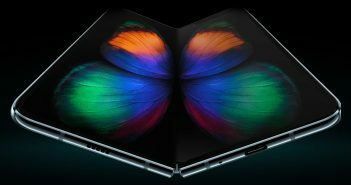 And after years of waiting, we can finally expect to see foldable smartphones come to life. Royole Flexpai and Samsung Galaxy Flex are expected to make their debut at the CES 2019. These upcoming mobile phones are most likely to come with an outward fold or an open and close display. 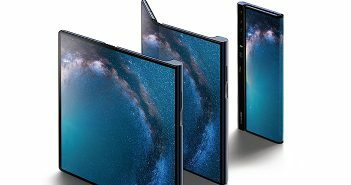 Furthermore, foldable smartphones will offer features such as – easy multitasking, the benefit of owning a tablet and a smartphone, security from cracked displays, and much more. So, while this new technology has still not managed to impress us all, we will have to wait till the actual launch to make any further predictions. Remember the time when Apple introduced the notch design? While some people liked the design, some people absolutely hated it. But, the notch became pretty mainstream on all the latest Android mobile phones since then. However, it looks like OEMs have figured a better way to do it. With a punch hole or pinhole display, all the sensors will be hidden below the smartphone display. The only thing visible on the screen will be the front camera shaped as a punch hole – hence the name. Expect this feature to hit most of the smartphones to launch in 2019. There are two trends that will take over the television market in 2019. One of them is the rollable display and the second will be the rise of the 8K display. 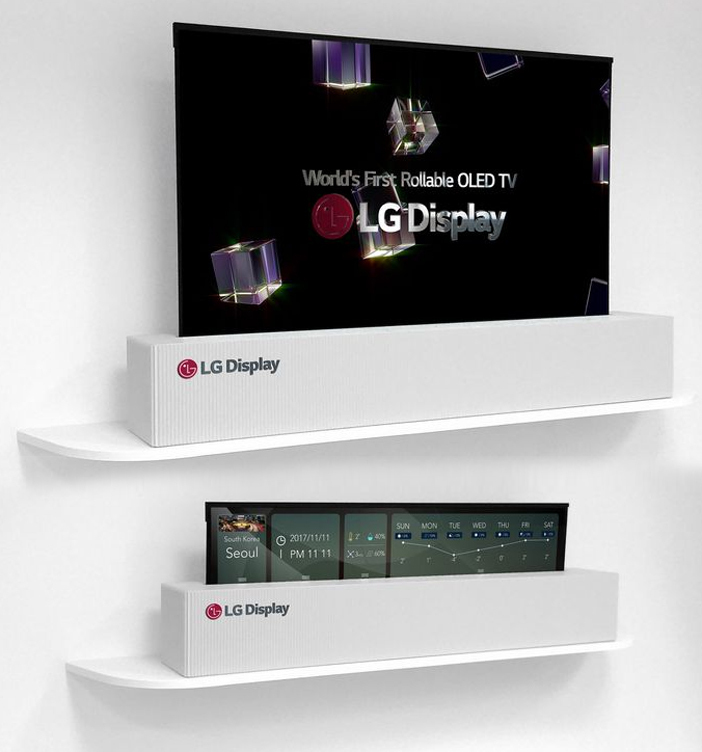 Last year during CES, LG was the only television brand to showcase a rollable TV. The 65-inch 4K TV can be rolled down when not in use. Moreover, according to the latest news, even Samsung is allegedly working on a rollable TV. So, we can expect both the companies to launch their rollable television this year. On the other hand, another trend we will see on the televisions price list is the 8K resolution. 8K will offer four times greater resolution than 4K, making pictures and colours appear vividly sharp. Additionally, these TVs will come with 33 million pixels and will offer an impressive viewing experience that we all have been waiting for. Since the rise of smartphone cameras, the demand for digital cameras has considerably gone down. However, 2019 might bring about a new change. With top brands like Sony, Nikon and Canon in the market, it looks like Panasonic will rise to the top this year. 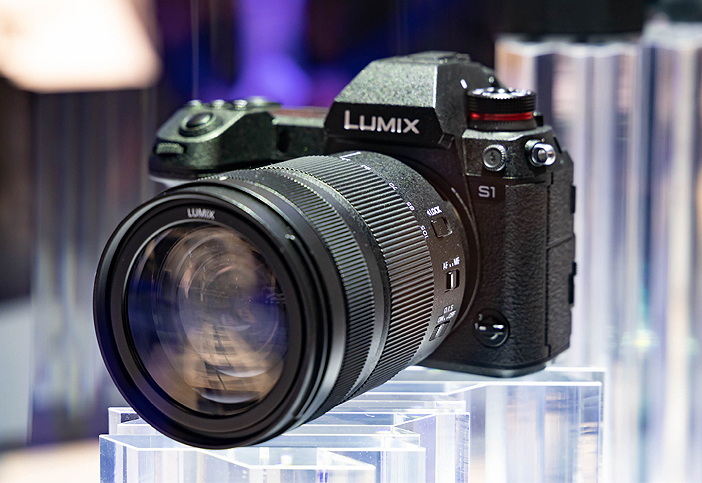 Photography and camera enthusiasts will see the Panasonic S1 and S1R full-frame mirrorless L-mount cameras launch this year. 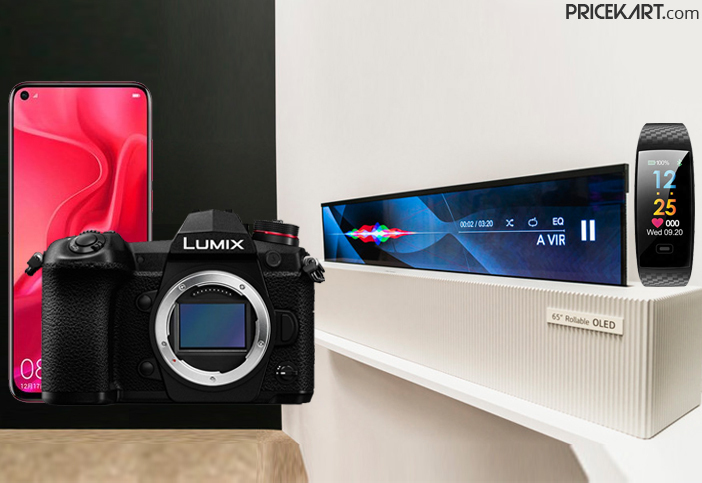 The brand has licensed the L Mount from Leica to design two full-frame versions of the Panasonic Lumix G9. Other awaited cameras to launch during the year will be Olympus E-MIX and a refreshed version of the Fujifilm 2017 X-T20. The wearable market has made tremendous growth in the recent few years. In today’s time, it is hard to distinguish between fitness trackers and smartwatches, as both the devices offer the same features. Things are only going to get even more confusing this year. Smartwatches come with the ECG fitness feature which helps in keeping a constant monitor on the heart rate. 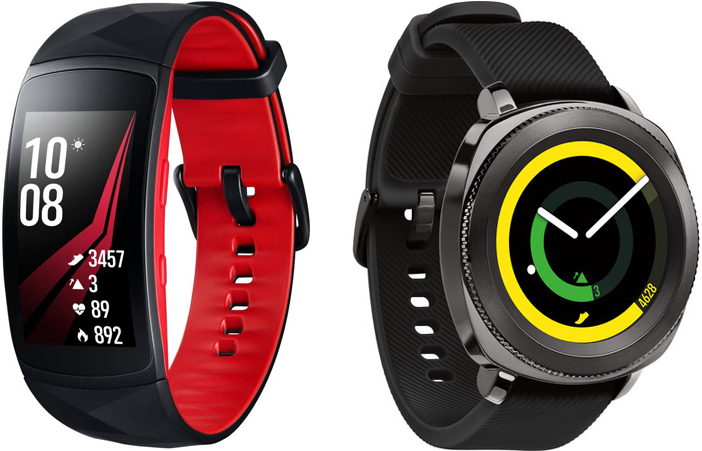 Additionally, these smartwatches also come with touchscreen displays, built-in GPS and fast performance. On the other hand, the latest fitness bands are also getting smarter with new features like a touchscreen display, notification alerts and built-in GPS. As more and more smart features get added to fitness bands, there is nothing that can stop them from overtaking smartwatches. Additionally, prices of fitness bands are considerably more affordable, which might lead consumers towards these devices. This was our take on some of the consumer tech predictions for 2019. We will have to wait for the CES 2019 to see more innovations and gadgets come to life.